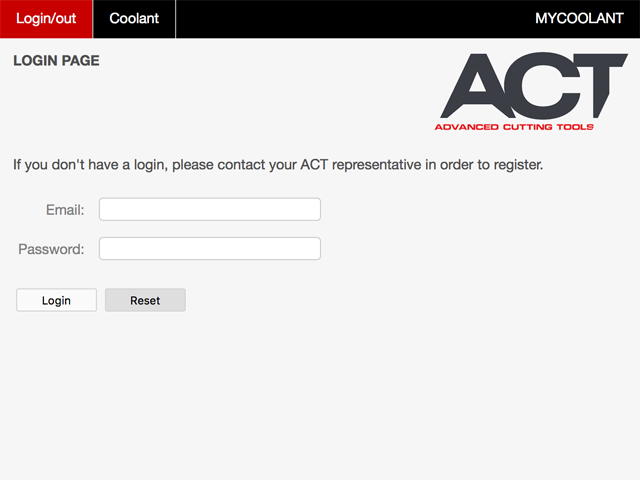 Welcome to your unique and personalised coolant portal - My Coolant from ACT. All with a click of a button, no paper, just data - you can access coolant everything from concentration levels, PH levels, bacteria levels and certificates. Our distinctive take on coolant, offers our customers savings in down time, cost and efficiency. Creating a unique portal to access all your coolant data, accountability and certification. Designed to be personalised to each individual customer, the portal is built to cater your needs specifically. Anything you require - We can cater. Interested in our coolant services? Contact a member of our team today to find out more 0191 438 0200.